During Institutions by Artists, Fillip was pleased to present a series of free, parallel events in the lobby of SFU Woodward’s that investigated the material culture produced by the institutional practices of artists. The Print Centre featured talks, launches, and screenings by conference presenters and attendees. 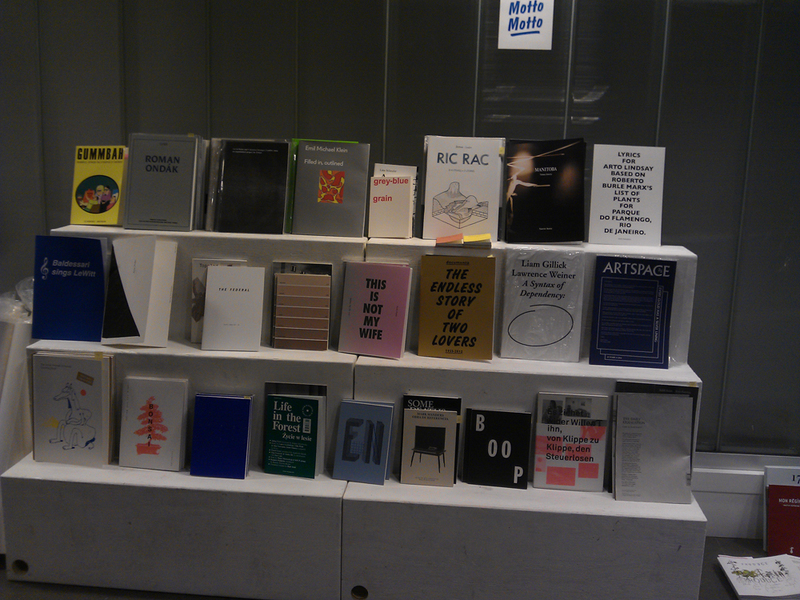 Presented in collaboration with a temporary book store hosted by Motto Books (Berlin). Photographs from a lecture given at the Print Centre.